Discount available! 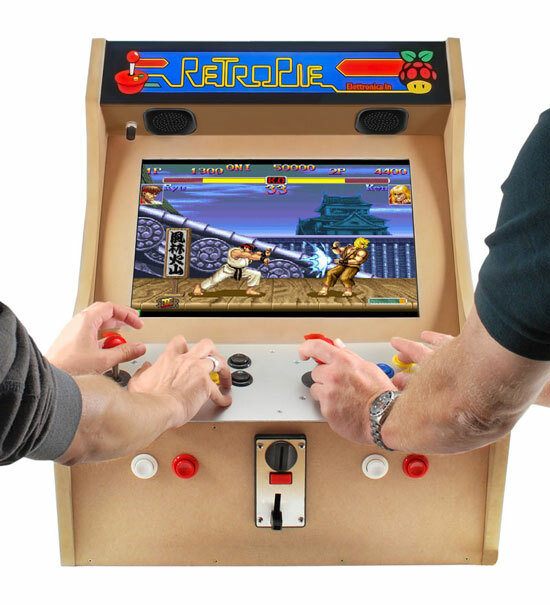 Recommend Kit Retropie Old Game to your friends and get your Discount. This kit allows you to build a station Arcade games - for a player - such as those found in the '80s and' 90s, in bars and arcades. The system is based on the latest version of Raspberry Pi 3 and used as a software RetroPie 3.5, derived from Debian Jessie, with which you can emulate different types of consoles, including Nintendo, Game Boy, MAME, Sega Master System, Amiga, Commodore, etc. 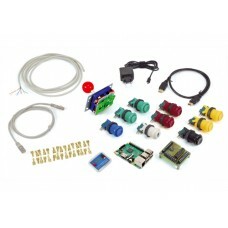 The kit includes all the parts necessary to build the station Games Arcade except the monitor. Raspberry Pi has HDMI video output so you must have a monitor with an HDMI or HDMI / VGA adapter. Warning! In www.mamedev.org site it is made available only ROM which is legal to own and download because the copyright holders have given permission or the copyright has lapsed. N.B. ROMs is subject to the laws on copyright in almost every country in the world. Own and use ROMs without authority is a violation of the law. Possession of image files of memories belonging to logic boards of games that you own can not be a violation of copyright. It's like making a copy of a game or a music CD from an acquaintance rather than buy it. Future Electronics assumes no liability in case of copyright infringement. Open Electronics assumes no liability in case of copyright infringement. In Additions to the monitor, Which is essential in order to play, we added for demonstration purposes, an external case made by us and a token (product code: 6168-GETTON1). The monitor is a standard PC monitor 19 "with VGA input connected to Raspberry Pi with an HDMI to VGA Converter (2510-HDMITOVGA). The audio amplification is performed by a simple yet comprehensive 2846-PAM8403POT capable of delivering 3W + 3W on the two 5310-MLS2 speakers.